These new Parker Sonnet rollerball boasts a jewel-like brilliance and a silky feel. Select a matte black powder-coated Sonnet with chrome trim, or opt for shiny lacquer finishes in red, blue or black. All these options hold the long-lasting Parker rollerball refill, available with a fine or medium point. Any choice will give you a royal feeling no matter how difficult your write task may be. Engraving - The engraving on this pen will show as a chrome color due to the metal barrel. Permanently perfect. A monogram shows your last initial in the center. The order you enter your initials will be exactly as we laser engrave them. Please check your entry. 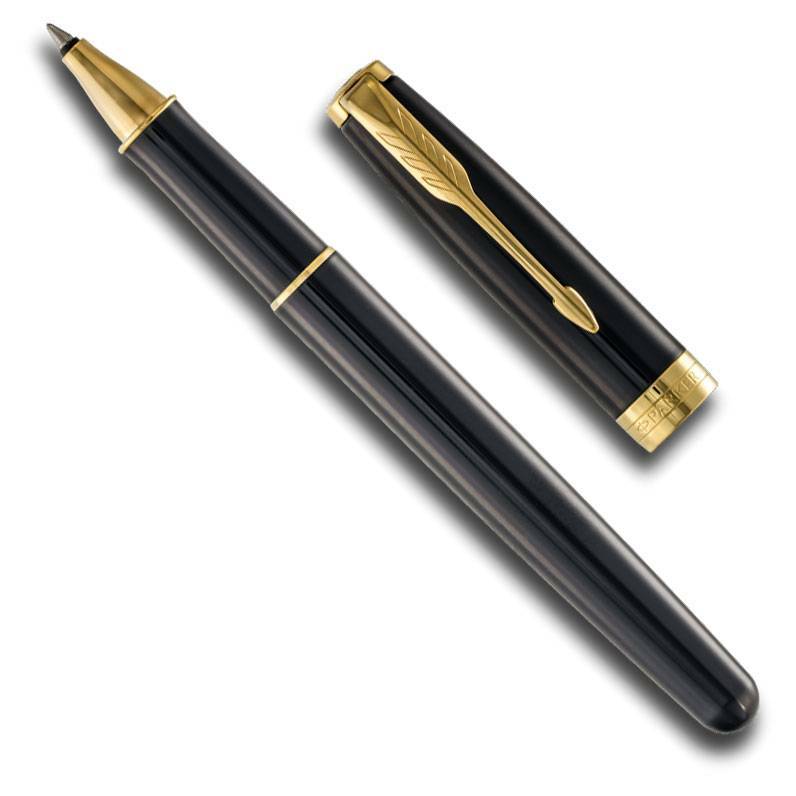 We recommend using a black rollerball or broad tip fountain pen on plain white paper to create your signature. Then use a smartphone or a scanner to digitize it. Your logo must be black & white. Gradients or shading will appear as solid areas.